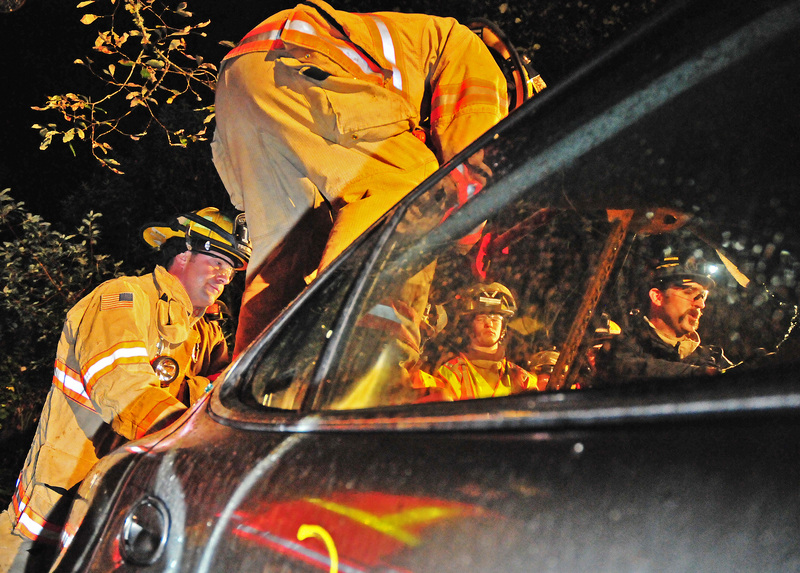 Marc Beal, right, shows a volunteer firefighter how to use a regular auto jack to pry open a car window. A lesson on the proper ways to get a person out from under a vehicle was part of the curriculum. Precious minutes matter in the business of saving lives. This was a lesson about 20 volunteer firefighters learned, again, as a soft sprinkling rain moistened the yet to be broken windshields of two cars in a clearing behind Fire Station No. 47 in Home. 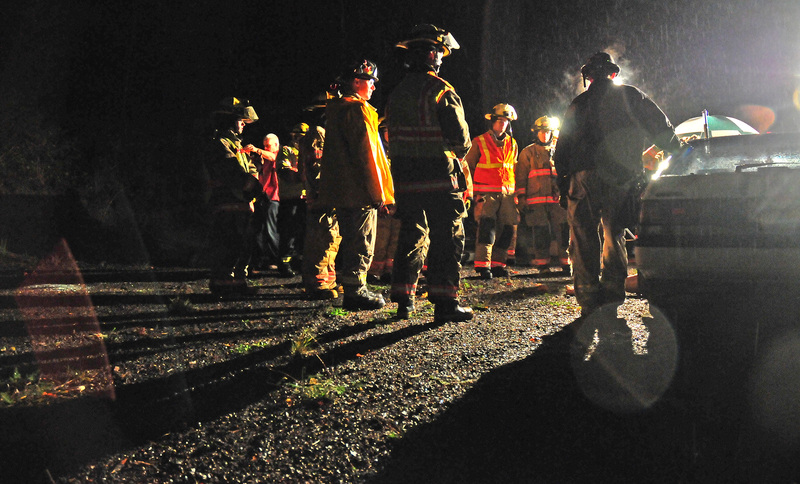 Instructors from the Puyallup Extrication Team were back on the Key Peninsula Tuesday night to help the firefighters brush up on their auto extrication techniques. The drill is part of a weekly program for Peninsula firefighters and a chance for most of them to hone their skills. He has worked as a firefighter paramedic at the Home fire station for the past 22 years and has seen his fair share of horrific accidents. One accident that seems to stick in his craw was a head-on collision just north of Home a few years ago that involved a woman who was 7 months pregnant, Riegle said. It took the firefighters on scene almost an hour to get her out of her car and airlifted to Tacoma, he said. She died on the way to the hospital. “That one really touched home for me,” he said. The nature of most calls firefighters respond to are random. You never know what you will see when you arrive on scene. Instructor Beal, left, goes through every procedure step by step. 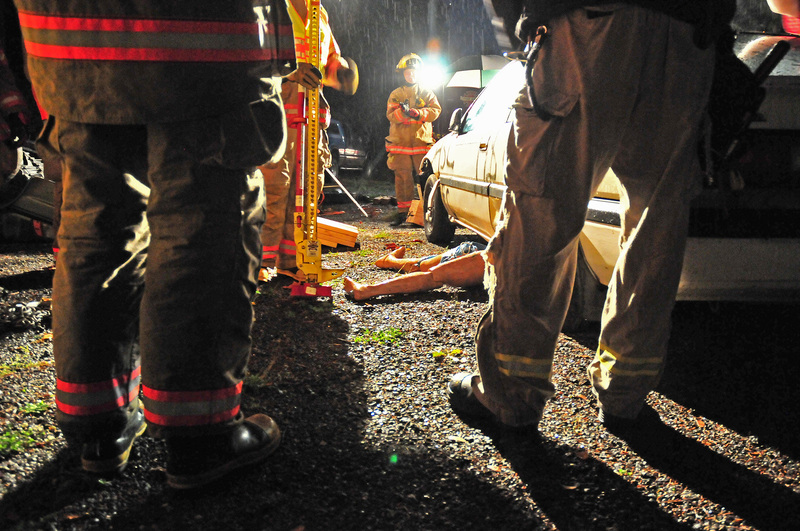 Two cars were setup for the drill in the glare of two portable flood lights. The nature of the calls the firefighters respond to are random. The only thing they know for certain is that someone might need their help when they get to the scene. “This training means a lot in the real world. Anyone of (the volunteer firefighters) could be out there at any given time,” Riegle said. So there they were, dressed in full gear, waiting for the instructors to begin their education. In the glare of two portable flood lights sat three training vehicles. Tonight, only two cars will be used. The half-acre clearing on the hill behind the fire station was crowded with firefighters. Instructors Marc Beal and Chris Lorenz were anxious to get going. “Gather them up and get started,” said volunteer Battalion Chief Ann Nesbit. Nesbit is excited the Puyallup Extrication Team is in her backyard. They are professionals. Beal and Lorenz have almost four decades of experience between them. They even competed in the World Rescue Challenge in Clearwater, Fla., last year. Sure it is a competition, but this is not a game. 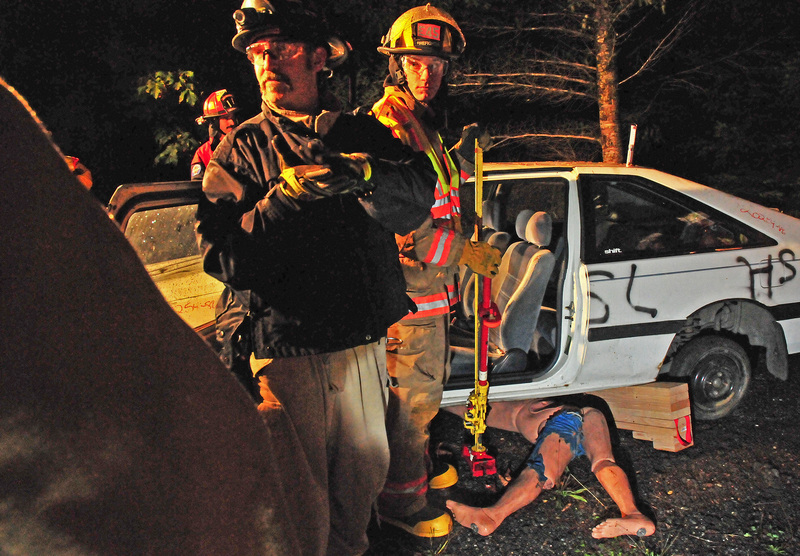 “It takes the real-world of auto extrication and makes a sport of it,” Lorenz said. This means having the ability to show their skills under competitive conditions. “The goal is to take patients out in under 20 minutes,” he said. Nesbit knows the instructors know their stuff. The instructors begin by making sure everyone is speaking the same language. “So when I tell you something, even if you’re from an adjoining fire department, you will understand what I’m trying to tell you,” Lorenz said. 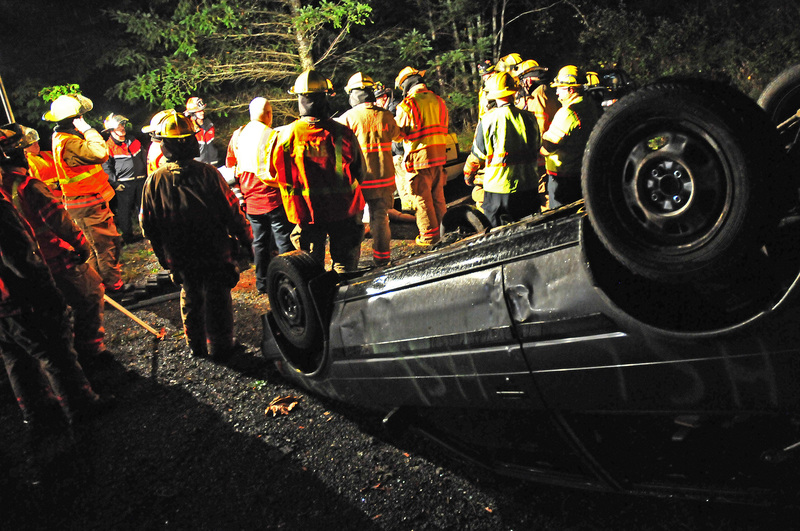 The firefighters watch and listen as Beal explains the proper ways to lift a car that has fallen on top of a person. How you lift the car, where and with what tool depends on how the car fell on the person. Next they learn how to use a jack to pry open a car’s top so a rescuer can crawl in to help the person trapped inside. Beal goes step by step as he explains why each step is done. To see more photos, go here https://www.flickr.com/photos/dmontesino/sets/72157648372827160/. All eyes were on the demonstration of how to get in a car quickly and efficiently. About 20 volunteer firefighters were on hand for the weekly training drill behind Fire Station No. 47 in Home.